Garlic where would the human race be without Garlic? Garlic was used by the ancients to ward off disease, demons, devils, and imagined vampires. Hollywood made use of Folklore’s believe that the cross and garlic was a protection against the Dracula, the Evil Eye, and/or imagined vampires. Vampires may be imagined but the plague wasn’t and there is a reason the ancients used garlands of garlic for the doorways and wore a clove of garlic around their necks. In some places garlic is still hung in the rafters for protection. Alternate medicine sometimes refers to Modern medicine as flat earth medicine. Flat earth medicine has ignored garlic’s role in man kind’s history and its ability to heal, but garlic amazing disease-fighting powers have repeatedly been tested in thousands of studies. Other spices have been used by the human race since its antiquity, but garlic is one of the oldest plants to be domesticated by mankind as both as a food and as a medicine. Modern medicine use of garlic was abandoned since the Germ Theory. But due to the modern day’s overuse of antibiotics Superbug antibiotics (MRSA) is now out of control. Modern medicine is giving garlic a second look in some cases actually recommending garlic. Garlic was originally found to help cure resistant tuberculosis. 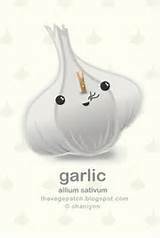 Unlike modern day flat earth antibiotic drugs, Garlic kills the bug that is causing the inflammation and leaves the good bacteria and enzymes alone. For many years, garlic’s use in the United States was ethnic but slowly it has become an everyday staple. Garlic is also available as powdered supplements but the supplements are not as effective as taking the real thing. 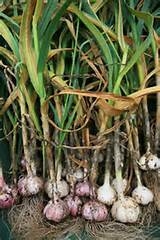 From the early Egyptians garlic was used both as food, medicinal and as a currency for the Pyramid Workers. It kept them strong. The Greeks and Romans used the herb to preserve their courage, health and strength. Garlic was also used to rid poisons from the body. 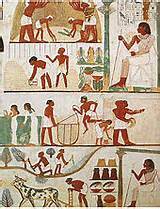 Garlic bulbs have been found in the tomb of Tutanhamen which dates from 1,500 BC and garlic is mentioned in the Bible and Qur’an. Ancient traditional medicines like Chinese and Indian writings talk about the power of garlic. Garlic is a staple of Africa, Central Asia, Europe and the Mediterranean areas. 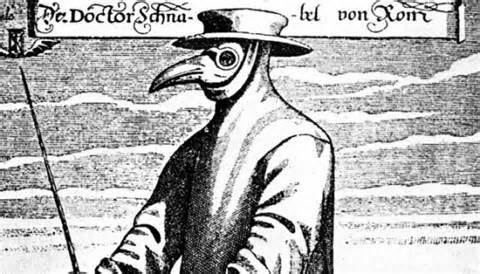 In our modern times we do not see much, if any, of the bubonic plaque thank goodness, but during the 14th and 15th century bubonic plague or Black Death killed nearly half the world’s population. Our ancestors used the natural herb garlic to fight the plague. Gravediggers and others drank wine containing crushed garlic or ate it raw to ward off the disease. Garlic has a history of also helping wipe out resistant tuberculosis. Variety is the Spice of life and I have heard it said you should you should try to eat a rainbow of color every day. You need variety in your food, and using color is a good way to insure a healthy eating. Each plant has something special to offer. All the different antioxidants, phytochemicals, minerals, and vitamins work together to keep us healthy. They help prevent cancer, cellular oxidation damage, decease and illness, and helps keep the immune system functioning to provide a high quality of life. White – are colored by pigments called anthoxanthins, some of which contain allicin, potassium and selenium. Blue or Purple – pigments are called anthocyanins. They contain ellagic acid, fiber, flavonoids, lutein, quercetin, resveratrol, vitamin C, and zeaxanthin. Green – pigments are called chlorophyll. They contain calcium, fiber, folate, beta-carotene, lutein, Vitamin C and Zeaxanthin. Just look up the term dark leafy greens. Orange or Yellow – pigments are called carotenoids. They contain beta-carotene, flavonoids, lycopene, potassium, vitamin C and zeaxanthin. The color white reminds you of cleanliness, and sanitation. Close relatives to garlic include the chive, leek, onion, rakkyo (Chinese onion), shallot and members of the genus Allium which comprises of close to 750 species. Most of these species are colored white. Garlic doesn’t remind you of anything like “Hospital White”. 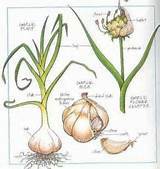 Symbolism is one thing but garlic wore the color white since it started growing in the wild over thousands of years ago. Garlic may not be associated with cleanliness, pureness, and sanitation but it has a better reputation as an antibiotic, antifungal, antivirus and detoxing tool then the “white coat” or “Hospital White” industry does. 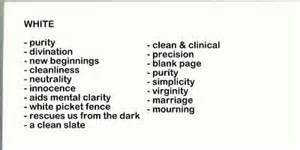 “Hospital White” was adopted as the norm for the hospital setting in 1915. The White Coat is also associated with the terms ”brainy”, “the boss”, or “in charge”. When it comes to food the color white is normally associated with pure, like pure white bread, rice, salt, sodium, or sugar. These processed foods have been bleached and are devoid of nutrition. Garlic is a good carb and processed foods are considered bad carbs. Garlic may not be “brainy” but it is certainly not devoid of nutrition. Garlic’s antibiotic qualities is due to an active garlic compound, diallyl sulphide, is able to break through the tough membranes of bacteria better and faster than the powerful antibiotics drugs without dangerous side effects. The White Coat’s overuse of antibiotics has allowed bacteria to adapt, change its form and created what is called the “Superbug”. The Superbug is resistive to all known forms of antibiotics. The bug is called Methicillin-resistant Staphylococcus aureus (MRSA). For a while MRSA was vulnerable to Vanco but it too has lost its power and with the societies weaken immune system MRSA has many carriers. Modern day’s antibiotic drugs block the body’s enzymes and kill both good and bad bacteria. The drug suppresses the illness or inflammation causing the immune system to bury the toxin deeper and deeper in the muscles of the body. The immune systems purpose is to protect the blood. So it will remove the toxins from the blood stream and bury them into fat and muscle tissue. The immune system is doing it thing but the real toxins are still alive. 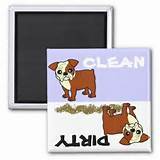 The now have time to fester and get worse and may even eventually develop into the big “C” or other major illness. Garlic’s smell is heady, pungent and doesn’t go away easily. Garlic is absorbed by the bloodstream and the lungs and escapes when you exhale. Thus the garlic breath and body odor when consumed in large quantities. That’s why garlic once eaten repeals mosquitos they can’t stand the smell. Maybe like some Vampires we have seen on the movie screen. Take fresh sprigs of herbs like coriander, eucalyptus, parsley, peppermint, rosemary, or spearmint, etc. You can take some vinegar. I don’t worry much about the smell of garlic and maybe others are not telling me something but I have turned into loving natural things so much the smell of garlic is welcomed. I never really like things with a perfumed smell anyway. One thing to consider is – If there a persistent mouth odor or bad breath it may be a sign that you have toxins probably in your digestive track and have nothing to do with garlic. Bad breath is often related to the colon or gut, digestive system, or your liver struggling to get rid of the toxins. Chopping and Crushing Garlic activates its healthy and powerful enzymes. The enzyme is called allicin a sulfur-containing molecule that gives garlic’s its pungent smell. When preparing garlic wait at least 5 minutes after crushing or cutting to allow allicin to form and mix with oxygen. Please note to get the full power of Garlic DO NOT COOK IT use it raw. Research has found heating garlic all health benefits is lost. Cut a clove of garlic into small pieces that can be swallowed. Let it sit for 5 to 10 minutes to bring out its health-promoting benefits. You can mix it with juice or liquid but swallow them whole. The ancients added garlic to their wine. You can also add crushed or chopped garlic at the end of your foods cooking process. DO NOT CHEW Raw — Once chewed garlic can turn HOT – HOT !! Once down it isn’t too hot to handle. Not all garlic is hot but YOU NEVER KNOW. Garlic because of its aroma and powerful pungent taste sells as a powder and as supplements but processing methods has been found to significantly reduce garlic’s health benefits. You need fresh raw garlic, the Fresher the garlic, the more the power. Garlic is antibacterial, antibiotic, anticancer, antifungal, anti-inflammatory, antimicrobial, antioxidant, antiviral, anti-yeast, lowers blood pressure, thins blood, restores bowel ecology, prevents platelet clumping, helps detox the cells, helps digestion, boost immune system and helps fight many diseases, fights food poising bacteria, help insulin resistance and diabetes, once eaten repeals mosquitos, Cardiac protection from heart disease, brings oxygen to the cells or oxidizes the cells. It has been called “Russian Penicillin” because it is so effective with wounds and skin disorders. You should be eating garlic every day. Garlic is good for the common cold for it is both an antibacterial and antiviral. The Common Cold is a common virus. Garlic Lower Blood Pressure Naturally – Garlic dilates blood vessels to lower blood pressure, dissolves arterial plaque and internal clots, and prevents oxidation of important lipids that lead to cellular destruction without the side effect. Pharmaceutical blood pressure drugs have a long list of side effects, many of which are deadly. Garlic removes triglycerides, dissolves internal clots and arterial plaque, and prevents oxidation of important lipids that lead to cellular destruction. Magnesium also lowers blood pressure and in many cases elevated blood pressure may be a sign of magnesium deficiency. Blood Thinner – Garlic also functions as a blood thinner, but allows clotting when it is needed now Aspirin can’t do that. If you are taking daily blood thinners contact you natural health practitioner. It Effectively Combats Cancer – Garlic’s ability to enhance the production of hydrogen sulfide may be the best reason for its well-known benefit of fighting cancer. Hydrogen Sulfide is thought by scientist to be effective in preventing the development of cancer — particularly breast, colon, and prostate cancer. Garlic’s contents of selenium, sulfur and other compounds contribute to cancer cell apoptosis (cellular suicide) which cancer cells don’t normally like to do. Turmeric is also recognized as a non-patented natural food anti-cancer reduction. Cardiovascular health- is enhanced with garlic. Garlic has demonstrated the power to lower blood pressure and homocysteine levels in blood. Homocysteine levels are considered stronger markers for heart problems than cholesterol counts. Reduces cholesterol oxidation – In other words it helps deliver oxygen to the cells. Lack of oxygen actually causes most of the problems generally blamed on cholesterol. Help Digestion – Rich in vitamin C and potassium, garlic can also aid your digestive processes. We have known for quite some time that not only is your digestion integral when it comes to your overall immunity, but your mental health as well. Help Detox heavy metals – In the 1970s, Robert I. Lin, president of Nutritional International in Irvine, California, used garlic to detox lead from children successfully. That’s not a well know attribute of garlic, but it’s another reason everyone should use garlic often in our polluted environment. Boosts the Immune System – Garlic is a powerful anti-oxidant that bolsters the immune system to fight disease naturally. If you’re serious about your health, it is absolutely essential to boost your natural immunity. After all, your immune system is responsible for crushing biological threats before it turns into a manifested form of sickness. If you are always getting the flu, a cold, or suffering from a condition that decreases immune function? « Water – Bottled or Tap?